Greenland Holding Group Co., a Shanghai-based developer owned by the Chinese government, said it bought King Blue, a two-tower condominium project in Toronto, its first purchase in Canada. Greenland Holding bought the planned development, which includes 44 and 48-story towers, from closely held Easton’s Group of Hotels Inc. and The Remington Group Inc. for at least $100 million, according to Easton’s Chief Executive Officer Steve Gupta. President and CEO of Easton’s Group of Hotels Steve Gupta, right, with his daughter Vice President of Sales and Marketing Reetu Gupta, left. Immigration is a main factor driving demand, Gupta, the India-born founder of Toronto-based Easton’s, said by phone today. Greenland Holding, which has invested in London’s Canary Wharf and New York’s Pacific Park, said it bought the site as an entry-point to Canada’s housing market where existing home sales reached a four-year high in August. 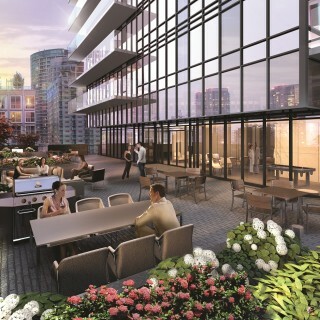 Average Toronto condominium prices rose 5.5% to $367,010 in the second quarter over a year ago and sales advanced 10%. “We believe this city will continue to grow and thrive creating other investment opportunities for Greenland Group (Canada) in the Greater Toronto Area and beyond,” Greenland Holding Chairman Yuliang Zhang said in the statement. 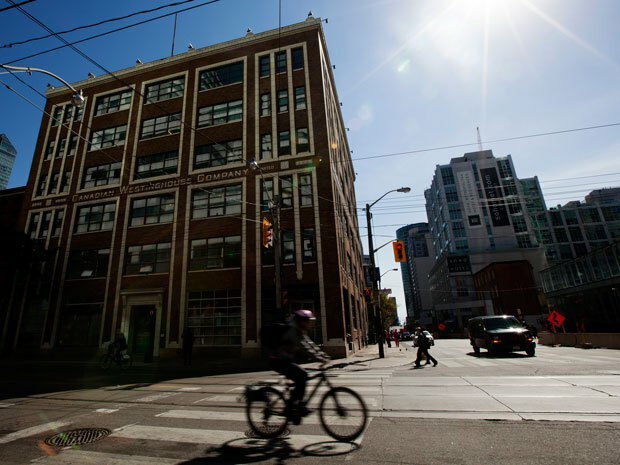 The King Blue project, which includes a former Westinghouse factory built in 1927, is located on King Street West, amid newly-opened bars and the TIFF Bell Lightbox Theatre which hosts the annual film festival. The 44-storey tower is 85% sold, according to Gupta. 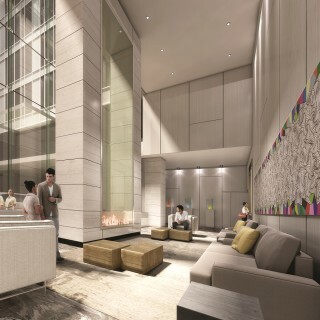 The second tower, hasn’t been pre-leased yet.